Jessie V. Brown, of White Haven, died Saturday, April 6, 2019. Born in White Haven, she was the daughter of the late John and Stephanie Strungis Bruzgulis and was a graduate of White Haven High School. 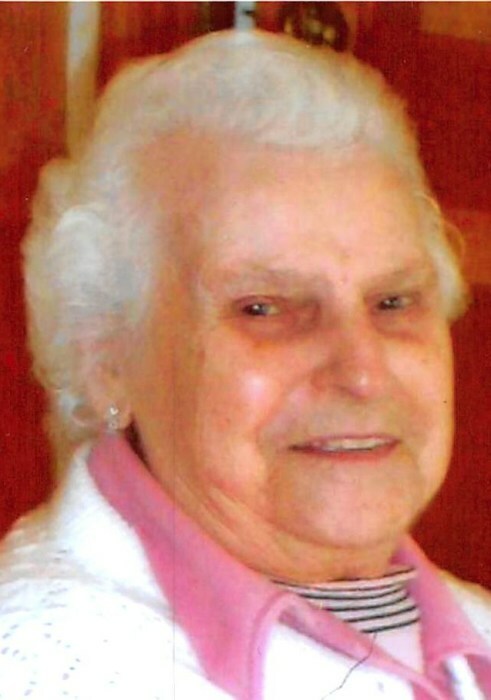 Jessie was a member of St. Patrick's Church, White Haven and enjoyed crocheting, reading, crossword and jigsaw puzzles. She was preceded in death, in addition to her parents, by her loving husband, Thomas E. Brown in 2000 and 11 brothers and sisters, Peter, Charles, Alfred, Stanley, Jack and Bernard Bruzgulis, Aldona Moyer, Pauline Shulenski, Phyllis Izzo Louise Jarick, Bernice Bruzgulis and Hattie Handlong. She is survived by her children, Thomas Brown and his wife, Maureen; Carol Carter and her husband, Thomas; Donna Brown; Donald Brown and his wife, Joanne; Bernie Brown and his wife, Carol; all of White Haven; Reverend James Brown of Bloomfield, NJ and ten grandchildren, five great grandchildren and several nieces and nephews. Funeral service will be conducted on Thursday, April 11, 2019 at 10:00 am from the Lehman Family Funeral Service, Inc. 403 Berwick St. White Haven with a Mass of Christian Burial at 10:30 in St. Patrick's Church, White Haven. Her son, Father Jim, will officiate. Interment will follow in the parish cemetery. Visitation will be on Wednesday, April 10, 2019, from 5:00 pm to 8:00 pm and Thursday morning from 9:30 am until time of service. In lieu of flowers, Memorial contributions, may be made to St. Patrick Building Fund, White Haven or Sacred Heart’s Memorials Fund, Bloomfield, NJ.